Celebrate this Chinese Festivity with Rising Stars – SPOP SING! Champion Jarrell Huang and Bonnie Loo. Different to its past series, Happy Chinese New Year 2019 focuses on the celebration of home-grown talents and performances, presenting myriad showcases of your favourite Mandopop and classic Chinese music repertoire. Happening on 17 Feb 2019 (Sun) at the China Cultural Centre Theatre, the concert will be conducted by Ding Yi Music Company’s Assistant Conductor Wong De Li, Dedric (黄德励), with special performance by 2018 SPOP SING! champion, Mediacorp Artiste Jarrell Huang (黄俊融) and Mediacorp Artiste Bonnie Loo (罗美仪). The performance will be held on 17 February (Sunday), 3.30pm and 7.30pm at the China Cultural Centre Theatre (Level 4). 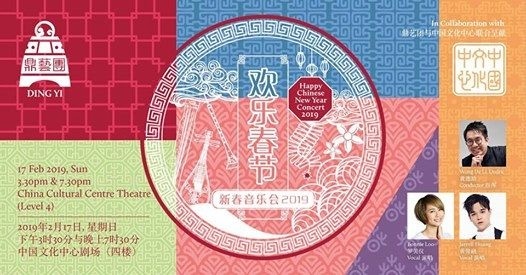 In addition, thanks to Ding Yi Music Company, we are giving away a pair of tickets to TWO lucky readers for you and your partner to enjoy Happy Chinese New Year Concert 2019 欢乐春节 – 新春音乐会 2019 on 17 February 2019, Sunday at 3.30pm. Don’t miss this opportunity to enjoy great music! To WIN the tickets, please visit Our Parenting World Facebook Page at this LINK. 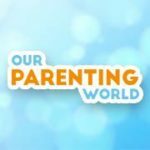 Giveaway Closed and Winners Announced, for winners’ details, please visit Our Parenting World Facebook Page at this LINK.